The D.III was powered by a six-cylinder, 160 hp Mercedes D.III, giving a top speed of 165 km/h (103 mph). Later production examples received an up rated 170 hp Mercedes D.IIIa. The armament consisted of two 7.92 mm LMG 08/15 "Spandau" machine guns, synchronized to fire through the propeller. Albatros built approximately 500 D.III aircraft and OAW (Ostdeutsche Albatros Werke) built approximately 840 before production shifted to the D.V. Peak service was in November 1917, with 446 aircraft on the Western Front. The D.III did not disappear at the end of production. It remained in frontline service well into 1918. 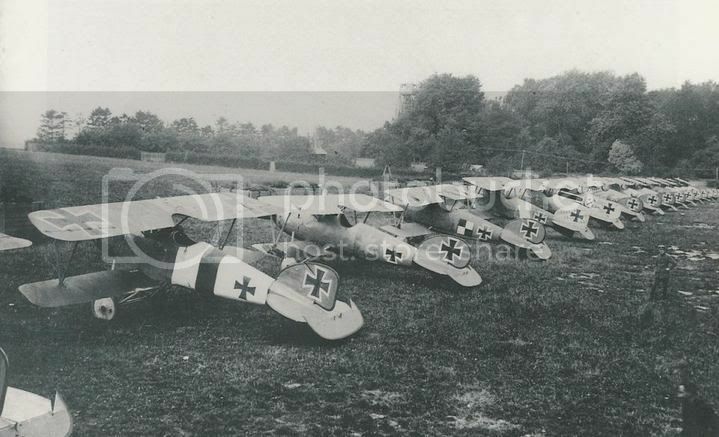 As of August 31, 1918, 54 D.III aircraft remained on the Western Front. The D.III was used by many top German aces. Manfred von Richthofen, Eric Lowenhardt, Kurt Wolfe, Karl Emil Schaeffer, and others, significantly increased their scores flying the D.III. It was the outstanding fighter during the period of German aerial dominance known as "Bloody April" 1917. Looking at the box artwork you have a beautifully rendered colour drawing of the Albatros. This also serves as the painting and decal guide. On the front you have the top and underside profiles and on the side of the box are the aircraft side profiles. The box also has the paint chart, which are in Gunze Sangyo Aqueous and Gunze Sangyo Hobby colours. The kit contains 57 tan coloured parts, held on two sprues. There is no photo-etch parts in this kit so some kit bashing is probably necessary if you want a really authentic replica. There is no flash present and there is some injector pin marks. All of the pin marks are raised. There are four inside the fuselage, and only the front two have to be removed as the rear two won't be seen. The other pin marks are inside the engine casing and also probably won't need removing. The detail is fairly good, but being a newbie to W.W.1 aircraft i can't tell you if it is accurate. I will leave that to people better qualified than myself. There is one spare part in the kit in the form of another top wing. Its length and shape are the same but differ in the grills in the centre of the wing. The wing used in the kit is part A-1, which has the grill slightly off centre. The ribs on the wings look nicely reproduced and with some careful painting and weathering should look outstanding. The fuselage has recessed panel lines and some raised details which are crisply reproduced. 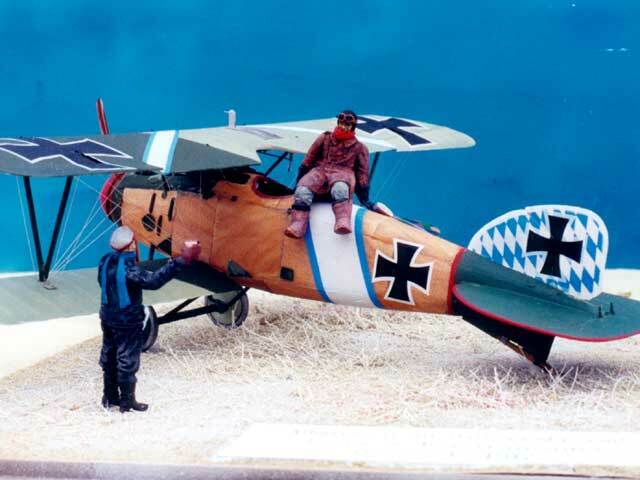 The Albatros had a plywood-skinned fuselage and there is no wooden detail to the panels. Perfecting a wooden finish is probably going to be the most challenging part of this kit. The Eduard instructions are printed on one piece of A4 size paper folded in half. The front page shows you the part trees and numbers and the interior painting numbers. There is no historical dialogue within the instructions or the box so researching will have to be done by other means, be it by book or the Internet, there is plenty of info out there though. The rest of the pages concern the building with little boxes containing the paint numbers for the interior pieces. There is no step 1, 2, 3 though with just the drawings in a sort of reading order on the page. The last page does have a rigging guide built into the last phase of the build. The painting guide as stated before is on the box lid and side and show an aircraft with a natural wooden fuselage and Gloss green tail section. The top and lower wing are in a three colour scheme with blue/grey undersides and once completed should make for quite a colourful aircraft. The one set of decals supplied are for 2225/16, Jasta 5 in 1917. The decals look very nicely done with some very crisp detail. The blue and white diamond pattern for the tail should look marvellous on the finished aircraft. For anyone who has never built a W.W.1 fighter this is a good kit to get started on, as there are no P.E or spare parts to confuse you in the minefield of different versions. This is one version with one set of decals, as for building it in a weekend, we will have to see. Eduard have in my opinion released a very good line in the Weekend Edition of kits, a model that you can build from the box that will cater for all ages and skill levels. Eduard's new Weekend Edition series of kits offer a no frills package and are pretty basic in content. That should not put you off though as they offer an excellent kit with the one build and decal option. This definitely cuts down on the confusion and waste of unnecessary parts.For someone like me who has never tackled a W.W.1 aircraft this is a heaven sent kit.The names of parts and accuracy of this kit is beyond my knowledge and this review is hopefully going to help those of us who have never tackled a W.W.1 plane take the plunge. Hi Andy not wrong it is just the only part of the airframe you can't see in the photo image see here below for one of them. fourth from the left. By the way this scheme had been previously done by Eduard in their limited edition kit # 1104 and the earlier Profipack #8035 and Aeromaster decal set for Albatros Fighters. I believe that Americal has it as well in their Jasta 5 sheet. Hey Andy! Definitely NOT 3 colour camouflaged upper surfaces. This machine was from the last batch of Johannistahl built D.III types. The Venetian red (brown) was deleted from frontline operational machines in the camouflage by summer 1917. The area for either the lt. green or dark green was increased. None of the Johannistahl built D.III types ever carried the mauve and green or the 5 colour "lozenge" from the factory.